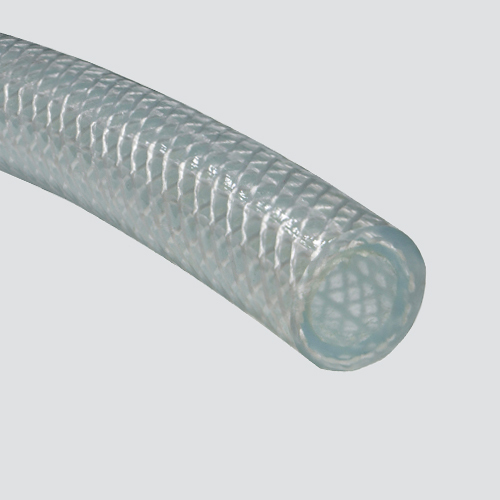 Reinforced clear polyvinyl chloride tubing designed for applications that require full view of product flow and higher working pressures than non-reinforced tubing. Tubing is FDA approved. Rated good to excellent for acids, fair to excellent for alkalis, and excellent for most solvents. Notes: Do not use for ketones, esters, and some aromatic hydrocarbons. Manufacturer testing for PSI and minimum bend radius completed at 68°F. 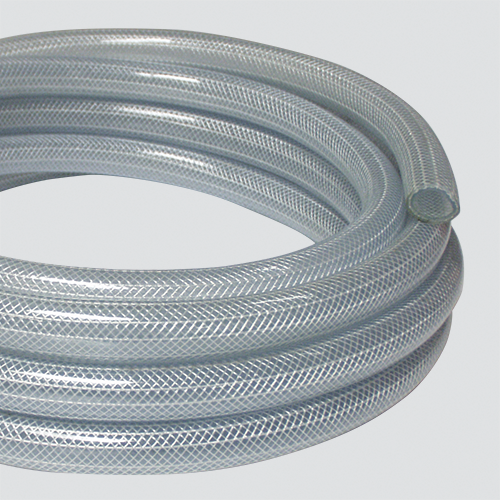 Increase or decrease in temperature may affect hose performance.